The 78th Army Band is one of the premier musical ambassadors for the 99th Readiness Division, United States Army Reserve. Commander of the 99th DIV (R) is Major General Mark Palzer and the Command Sergeant Major is Andrew Lombardo. The 78th Army Band performs at numerous events, including military ceremonies, public community concerts, public parades, and school performances. In 2018, the 78th was the featured musical unit during the “Power in the Pines” Air Show at Joint Base McGuire-Dix-Lakehurst, and was featured in the Philadelphia Independence Day Parade, and Fox and Friends Weekend for Veterans Day and Memorial Day. The Fort Dixieland Brass Band is a Music Performance Team from the 78th Army Band. Established in 2011, they perform in the New Orleans-style brass band tradition, using rock, R&B, and pop music from the 1970’s to today. 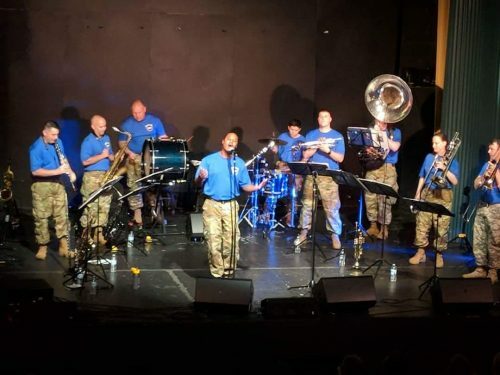 Locally, they have performed at the Rehoboth Bandstand, Milton Theater, Ocean City, MD, and throughout the Northeast footprint of the 78th Army Band and 99th Readiness Division. The team is directed by SFC Nicholas Greeson, and the 78th Army Band is under the command of CW3 Luis Santiago.